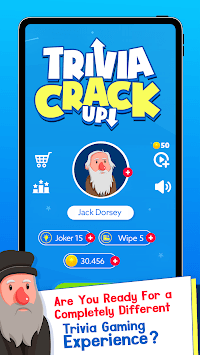 Get ready for a very different trivia gaming experience with Trivia Crack Up - Online Challenge! Can you tell us what you can do just by looking at the answers without seeing the questions? Thousands of questions are waiting for you. 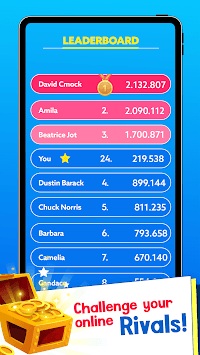 Moreover, you can go up to the top rankings and you can be the owner of new characters. 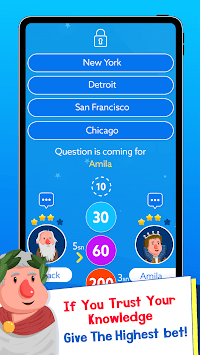 Trivia Crack Up - Online Challenge Place your bet quickly and wisely from your opponents and give the correct answers! Are you ready for a totally different "Trivia" gaming experience? - If you trust the knowledge, put the highest bet first! - You may be the Caesar of Trivia one day! Trivia Crack Up - Online Challenge. Our game is being updated with new questions. Download now and start the competition! Have fun.